I decided to kick-start the year with a list of books I truly do have every intention of reading. We all have those books we're ashamed to admit we haven't read or desperately want to read and don't have the time to, so I figured I'd at least try to cross a few of those off my list this time around. I probably have an equally long list of books I want to read this year, primarily consisting of debuts and sequels being released, but I decided to limit myself to novels that have already released and that I want to desperately read as well. I stole the idea for this from The Readventurer's 110+ Books I Have Every Intention of Reading Next and was inspired by their post to make one of my own, so...here goes! Next is a list of series I've already started and need to finish. I'm one of those people who usually zips through a series once I start it, but in some cases, I can't find the next book or the sequel still has to be released, so here are some that I really want to read this year, if not very soon. Yeah...a lot of series to start, eh? I, thankfully, enjoy stand-alones even more than series, so now for a list of stand-alones that I hope to tackle sometime soon, especially since I keep hearing how brilliant they all are! We all have our favorite authors and we have authors whose every novel we've read and will continue to read, so here's a list of the authors I desperately need to read or need to finishing reading ALL of their works - because they're just that good. Numerically speaking, 110 books isn't a lot. After all, I read roughly 300 books a year, so I should be able to finish this whole list by the end of this year, but I can't. In between these novels, I have review copies, sequels releasing this year, new debut novels to pick up, not to mention that when I add all the series books together, I have nearly 200 books, and with classics that take a good month to read, I'll probably only read all of these by 2015/2016. Still, I wanted to share this list with you all because - admit it - we all wish we had more time to read, and especially more time to read those books that we're told are brilliant. Thus, perhaps I'll take on fewer review copies this year and truly get more "older" reading accomplished...we'll see! What are some of the books that you have every intention of reading? That's so many books. This year my goal is to read half of the books I buy. I have ove 50+ just sitting there waiting. I also want to finish series that I've started. I have this thing where I read the first book, but find reasons to drag my feet when it comes to sequels because of fear of not liking them. Ohh, lovely! I would never dare to make one of these, I might go blind, or faint, or loose my will to read altogether. 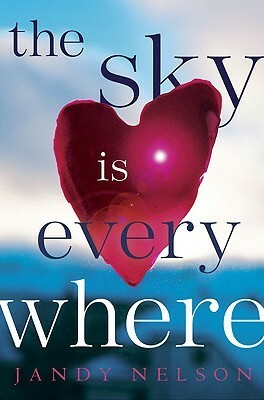 I see so many books I'm excited for you to read, The Sky Is Everywhere being number one among them. But I don't see The Space Between by Brenna Yovanoff anywhere and I can't seem to remember if you've read it or not, but I have a feeling you might like it. It's one of my all-time faves, I simply adore it. I also have so many books that I want to read that have been released too. Awesome list! I hope to read the book you recommended awhile ago, Through the Ever Night, this year. I hope you have a chance to read the Ausbury High and Bloodline series, they are both amazing in my opinion. 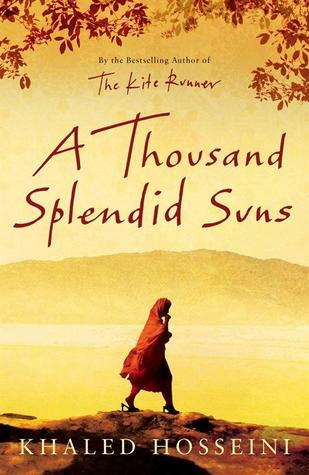 And A Thousand Splendid Suns is a splendid book and is part of the small books that made me cry. Love how you choose to feature its beautiful cover! Good luck reading the books on your list Keertana! Happy New Year! That is a lot of books. I want to try to read 300 books this year as well. As for your books, I loved Anne Of Green Gables, A Thousand Splendid Suns AND Sabriel. You're in for a treat even if you read just 10 of the books listed. I also want to pick up a few classics this year. I avoid classics like the plague, but they're classics for a reason, right? So I think I may have to pick up a few and try them out. I wish you luck in reading some more of those older books! You have no idea how excited I was to see that you'd written one of these posts. I like how compartmentalized they are in terms of cutting the reading list up into groupings of WHY you want to read them. I am only at about 15 right now but I have about 10 of them out from the library and I own about 40 or 50 of my list books so I really want to make a dent early in 2013. Beware the series, though, because they keep releasing new books! :) I've already caught up on two series and then fell behind again, and that's just in one year! There's something oddly appealing about your list of authors whose work you want to finish off--every one but Neumeier has a double letter in their name. The one thing that these lists always makes me want to do is tell you how exciting some of the books you've chosen are. And the ones you can finish quickly to cross off. You just reminded me that I want to reread the Abhorsen series. Let's do a readalong once you do get them (which will be easier to do since they're available in North America) and speaking of Australian authors, why do you not have Alison Croggon on your list? Since you like fantasy, I'm pretty certain you will like her Pellinor series. 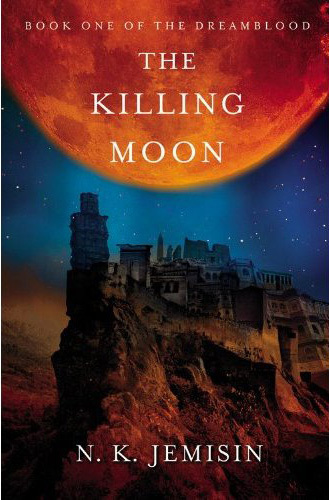 It has a YA protagonist but it's probably the most grownup YA high fantasy that I have read. Actually, I want to reread that one too. And Jaclyn Moriarty is all kinds of awesome and she has a new book coming out soon - which sounds fantastic. 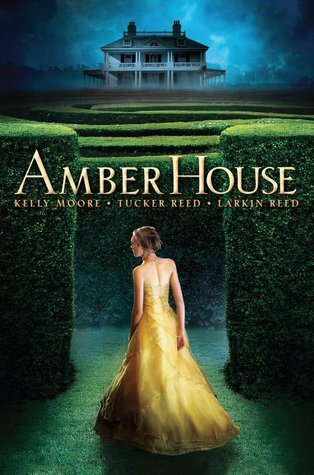 Her last Ashbury book was...just nothing short of brilliant. I've decided to read a lot more adult books this year, I don't know why. There are so many on here I desperately want you to read but I'm not sure where to start. The Native Star and The Sky is Everywhere are two you MUST read! Wow. Keertana, what a list! haha. The Abhorsen trilogy is rather brilliant! I adored it, so I hope you enjoy it when you get your hands on it. Legend, Song of Ice and Fire, and Walking Chaos are three series I want to start. I started A Game of Thrones last year, but had to put it on hold because it's so long. Still, what a whopping list. I very well may have to steal this list idea from you because it sounds a brilliant way to make a list of things I want to read. haha. Have you never read the ANNE OF GREEN GABLES series? That is a MUST. There are so many books on this list that it's hard for me to even know how to comment. Many I want to read as well, many I would recommend. Definitely THE SKY IS EVERYWHERE. Also loved THE INTERPRETER OF MALADIES (that's a series of short stories). LIFE OF PI, I loved, and it is great for a discussion. But it did drag in places and isn't everyone's cup of tea. I have not read THE PAINTED VEIL, but saw the movie and thought it was incredibly moving. Would love to read the book. Oh and I keep hearing such wonderful things about WHERE THINGS COME BACK, it is definitely on my list for the year. I will be following your progress for sure. I hope you get the opportunity to read all these books, Keertana! There are a bunch of precious gems in there. :) I also loved you sorted everything into different sections, btw.